Mary Morgan brings a wealth of experience to the airwaves. 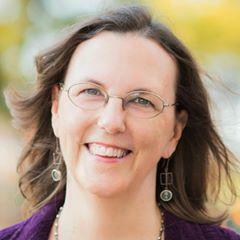 While heading up the CivCity Initiative now, Mary was previously co-founder and publisher of the Ann Arbor Chronicle. Prior to that, she served as a reporter and editor for the Ann Arbor News when it was a daily, print-edition newspaper. Public health officials are increasingly concerned about suicides in Washtenaw County, especially by young people. September is Suicide Prevention Month, and the county's public health staff is providing resources to address this issue. Click here to learn more. What does it take to get a statewide proposal on the ballot? The Michigan State University Extension's civic engagement program gives an overview of the process, with advice on what to keep in mind when asked to sign a ballot petition and a list of active petitions. You can also sign up to get MSUE's civic engagement newsletter. Kids are back in school, and public entities that oversee our educational system are in session this week, too. That includes the Washtenaw Intermediate School District Board (Tuesday), the Ann Arbor Public Schools Board of Education (Wednesday), and the University of Michigan Board of Regents (Thursday). Friday, Sept. 15 is National Park(ing) Day! The purpose is to "call attention to the need for more urban open space, to generate critical debate around how public space is created and allocated, and to improve the quality of urban human habitat." We'll be looking to see if anyone gets creative in this community, as they've done in previous years.